Indicated as structural adhesive for FRP (glass fiber reinforced plastic), metals, woods, bumper, front grille, mudguard, side of vehicles and any other parts made from glass fibers and plastics (ABS, polyurethane and polypropylene ). • Check that it is possible to repair the defect. • Carry out mechanical or manual U-sanding on the inside and outside of the part depending on the defect. • Clean surfaces with the Maxi Rubber Degreaser Solution, eliminating traces of dust, oil, rust and other impurities that could compromise the product. • Place a tape on the outside of the part to prevent the adhesive from reaching the adhesive. Cut the blanket into pieces of different sizes for repairing the inside of the piece. 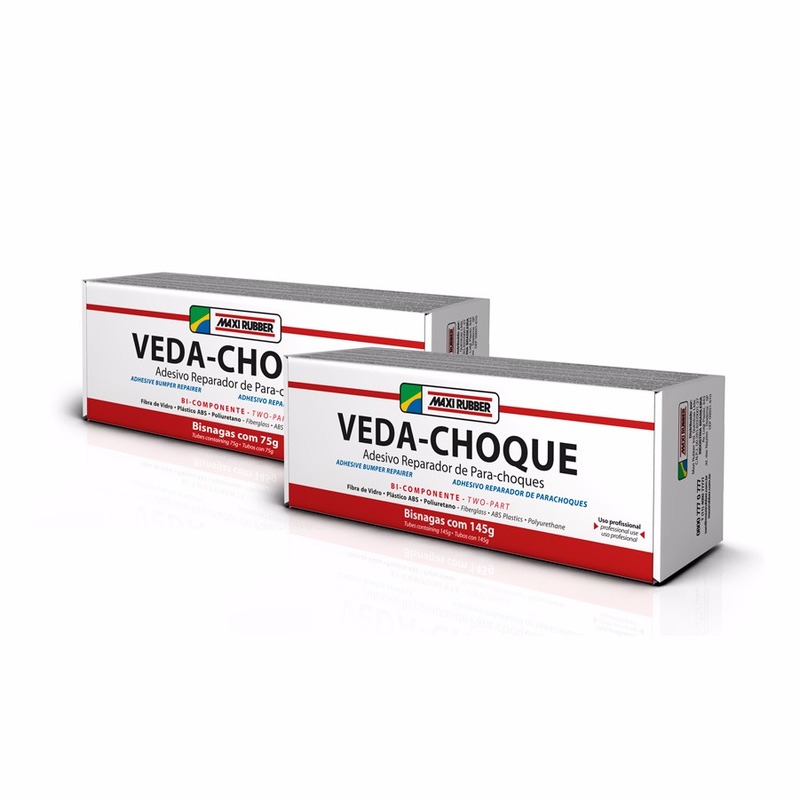 • Take equal amounts of product from the tubes (Veda Shock 1 and Veda Shock 2). • Mix with a spatula until a homogeneous color is obtained. • Apply the adhesive and blanket, intercalated. • The blanket should be applied from the smallest size to the largest size. • Apply only the adhesive on the outside of the part. • After curing the adhesive, sanding. • After sanding, apply the Maxi Rubber Plastic Sealer and the Primer PU Maxi Rubber. • Do not use the Polyester Paste on the Veda Crash. • It is not recommended to apply PVC. • Use the plastic film by pressing to remove existing bubbles.